Deedenow Cinema Production Afghanistan: Cinema is idolatrous in this territory! Cinema is idolatrous in this territory! Herat the historical city of art and culture or perhaps the hireling owners of the religion could not tolerate a cinema hall in this city?!! The only cinema hall that was constructed after almost 16 years in Herat was again closed by Shoraye Ulama “the Religious Council” the day after its opening. 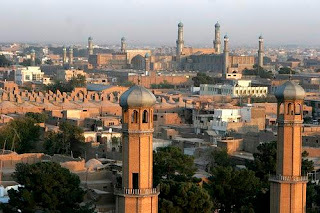 Historical city of Herat as the symbol of ancient and contemporary arts in Afghanistan, was hosting only one cinema hall during the time of communist government and it was closed after the victory of Mujahedeen in 1992 and then during the time of Taliban regime, they destroyed it and built a mosque and a government office instead on the land property of the cinema. This recently built cinema hall was built by investment of private sector in this city to support and promote the film products of the local filmmakers who have been producing significant number good films in these years. After collapse of the Taliban, many efforts were made to convince the new government authorities for the issuance of license for a cinema hall in this city, but none of the authorities cared about arts and culture while there was need of such places first for projection of the locally produced films while the Herati filmmakers are more active than the filmmakers of the other cities and then the need for positive entertainment centers for the youth and families. Shoraye Ulama banned the operation of this cinema hall and closed it down arguing that cinema and film industry is something taboo and illegal according to Islam so the existence of this cinema in the city is against the Islamic values. This saying of the Shoraye Ulama was appreciated by the president of information and cultural department in this province. 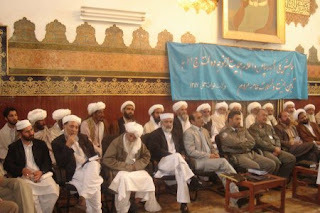 Being responsible for promoting culture, the department of information and culture of Herat should not have acknowledged this nonsense decision of Shoraye Ulama, but when in national level the minister of culture himself announces enmity with free media and television channels by banning their programs and charging them for broadcasting / telecasting certain programs we should not expect better behavior his subordinate of departments with the media. 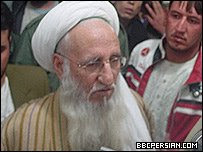 Shoraye Ulama or the religious council of Herat is consisting of some extremist people who think they are the owners of the religion. 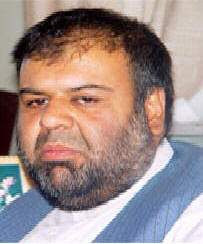 This council is led by Maulavi Khodadaad Saleh an extremist fundamentalist figure who was holding the same seat in Herat during the time of Taliban regime when the only cinema building was destroyed, that means the Taliban still have their agents in different provinces to influence people by the name of religion. Although religion is an important part of life of people in Afghanistan but misusing the religion for personal or political purposes damage the life of people and stop the development process of the people. Who support Shoraye Ulama and why? When dissatisfactory from the current administration increases among the people, the insufficient administration applies pressures on people by using different tools for this purpose. Religion is one of the tools that can be used very well against the people to stop their progress and development. Censorship for suffocating free media is another useful tool for insufficient administrations to cover its insufficiency and control the people’s anger. Working for enlightening people free media plays a significant role in between the people and the governing administration, thus the improvement of free media can be turned as an apposing tool in the hand of people against the governing administration. Based on this formula Shoraye Ulama is exactly supported and defended by the current insufficient administration to barrier the people using the name of religion and calm down their rage. This way Karzai administration uses the religious hirelings to achieve their goals; controlling the people and suffocating the media to cover their insufficiency. Shoraye Ulama of Herat existed with the same structure during the Taliban and it exists the same way now, and knowing about this reality Karzai administration supports it as their servants for their political purposes; based on this fact, we come to the point that Karzai administration supports a Taliban structure in the second largest and modern city of Afghanistan, it means they are obviously promoting and supporting Talibanism. To be honest, no one knows where Karzai wants to drive the country with the current circus show he presents to people, by one hand he plays the drum of, modernization, democratization, freedom, justice and equality by the other hand he suffocates the voices of freedom and destroys democratization process by supporting the extremist fundamentalists and using them against the people for his own power. Regarding Herat also he has an indirect role, when Shoraye Ulama oppose opening of a cinema hall and Karzai administration supports them, it means that Karzai opposes opening of a cinema in this city.